and mountaineers. For me they are grammatical. Frontier cleaners. the understanding between us. Shall we set forth? 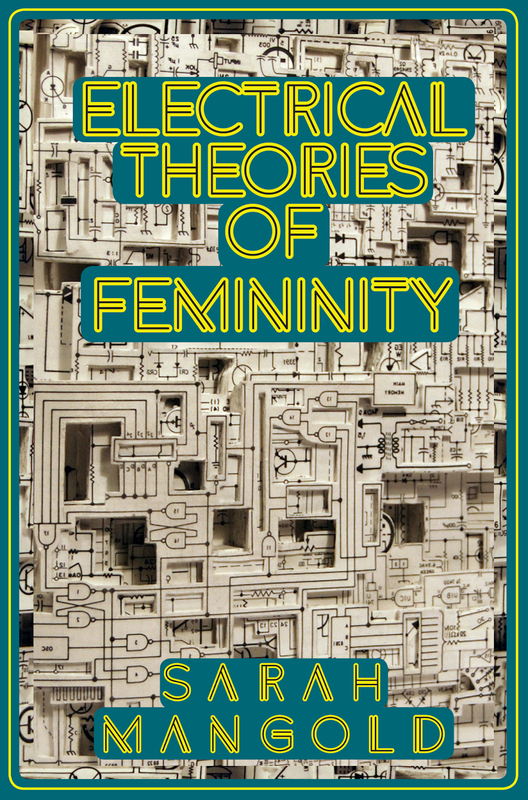 In poems such as “How Information Lost Its Body,” “Electrical Theories of Femininity,” “Every Man a Signal Tower” and “The First Thing the Typewriter Did Was Provide Evidence of Itself,” Mangold explores how systems are constructed, manipulated and broken down, even as she manages, through collage and accumulation, to move in a number of concurrent directions. Through the collection, the “Feminism” she writes about articulates itself as a series of conflicts, observations and electrical impulses, such as in the opening of “An equally deedy female”: “She gathered up the scattered sheets / a non-geometrical attempt to supply information // about what was far and what was important / bringing it down into life [. ]” Throughout the collection, Mangold’s language sparks and flies, collides and flows in poems that fragment the lyric into impossible shapes. This is as much an exploration of perspective, authority and various forms of both real and imagined power, composing her mix of fact, language, theory and obvious delight in regards to sound, shape, meaning and collage. As she writes in “I expected pioneers”: “What people forget about the avant- / garde forwards and backwards. The Pre-Raphaelites wanted / to bring the background forward. The tyranny of perspective / they wanted all views at once [. ]” Further on in the collection, she opens the short prose-poem “Mothers Must Always Prove Their Readiness” with this dark bit of information: “Most missing girls are dead girls.” Mangold’s poems might be filled with an unbearable lightness and sense of serious play, yet remain fully aware of, and critique, what women are still forced to endure.